In Miami, we're known for our great Irish heritage about as much as our spectacular drivers. But just because we do guayaberas better than we do Guinness doesn’t mean the city is completely lacking in Irish bars. Quite the contrary, in fact. 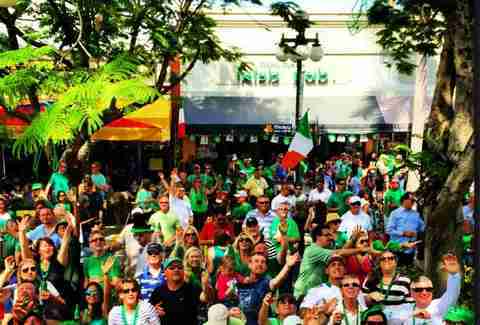 As you’re sitting back trying to plan what lie to tell your boss to get out of work March 17, take a look at this list of the best Irish bars in South Florida so you’ll know where to celebrate -- and make sure there are no pictures of you on Instagram. The Playwright probably could have become one of Miami’s best bad decision bars simply by setting up shop on Washington Ave. But it’s become the bar of choice for people who come to Miami to drink -- and not to be seen -- so crazier things happen here than in most VIP sections. Once it expanded into the space next door, the antics got a little more spread out, but a Saturday night in season at the Playwright is still one of the wildest experiences in South Beach. And on St. Patrick’s Day, it has a line that puts even LIV to shame. 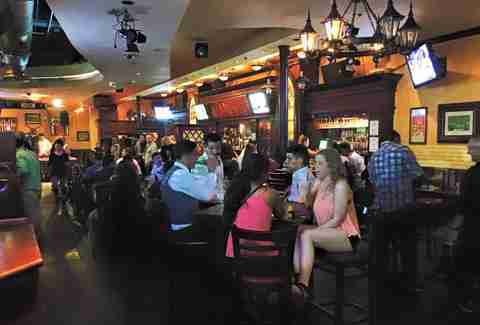 The bar that started as the Coconut Grove epicenter for University of Miami Thursday nights moved up to the Hard Rock over a decade ago, and brought with it the same culture of loud music and permissiveness. Here, locals join uninhibited hotel guests in a sea of Irish beer and '80s cover tunes. And when shows at Hard Rock Live get out, the after-party inevitably ends up at Murphy’s. The diverse and sometimes anonymous crowd lends itself to more mayhem than you’d expect to see at a bar in what's effectively an outdoor shopping mall. But spend enough time on the weekends there and you’ll see why the party is on par with anything you’ll find in the nearby clubs. Possibly the best thing about Mike’s at Venetia is that you know everyone who’s managed to find it is a local, or, at worst, a seasonal resident. Tourists don’t tend to venture to the ninth floor of a waterfront condo tower to have beers and watch soccer. 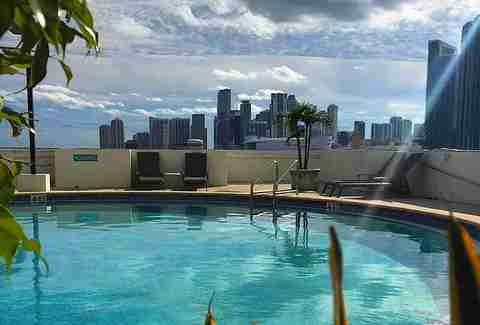 But once you arrive, you’re not only treated to the best bar pizza in Miami, you’ll have a panoramic view of the Downtown skyline and Biscayne Bay (if you opt to drink on the patio). That’s a big reason why Mike’s might also be the best place in the city to watch fireworks on July 4th. 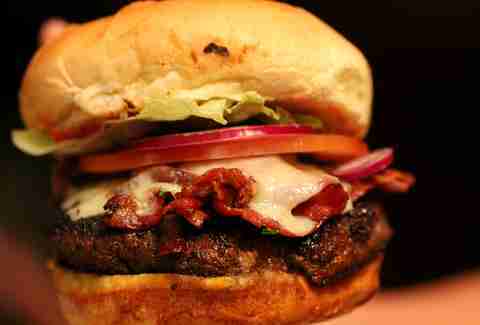 We’ve told you at length about this pub's blackened burger, covered in Cajun spices and topped with bacon and Irish cheddar. But even if your criteria for great Irish bars includes something other than raising your cholesterol, this Coral Gables stalwart is tough to beat. 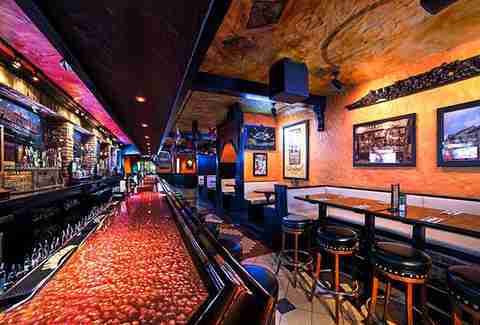 The bar -- and much of the woodwork -- was brought over from Ireland, and the dark, cool confines make it a welcome break from the trendy shops along Miracle Mile. Say you’re looking for a spot to watch a typical Irish sporting event, like Conor McGregor being an absolutely insane person. You want to watch in a place that actually feels like Ireland, right? Stout is that bar. The dark interior, brick walls, and copper-edged bar feel much more Belfast than Broward, and the authentic Irish food coming out of the kitchen will have you forgetting you’re in Florida altogether. But the highlight of Stout's year comes on St. Paddy’s Day, where the annual traditions are highlighted by a giant Jameson ice luge. We know it's a chain, but Fadó, Brickell’s preeminent watering hole, would be impossible to omit. Leaving aside that there are Fadós in 13 other cities, this place is everything you've come to expect out of an Irish bar in a major city. On weekends, it’s packed with revelers from one of the sexiest neighborhoods in America. 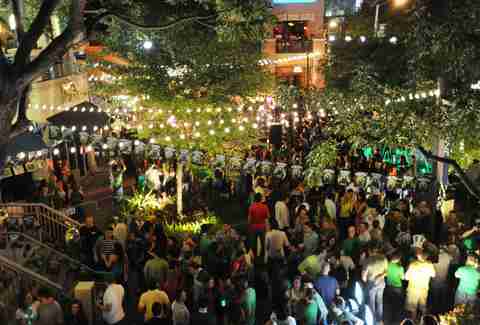 And on St. Patrick’s Day, Fadó is ground zero for the Brickell-wide street party that shuts down the entire area. So, sure, it might feel a little corporate, but what it lacks in authenticity it more than makes up for in debauchery. Beer in an Irish bar is often limited to slow-pouring Guinness and a bunch of kinda bitter stuff from Europe you have to pretend to like. Not the case at this Downtown Hollywood boozer, which has 18 beers on tap, including several local ones that taste nothing like Ireland. But that’s not to say Mickey Byrne’s isn’t authentic. It’s named after a hurling legend from Tipperary (look that up) and is THE place in Hollywood to catch soccer matches and rugby. 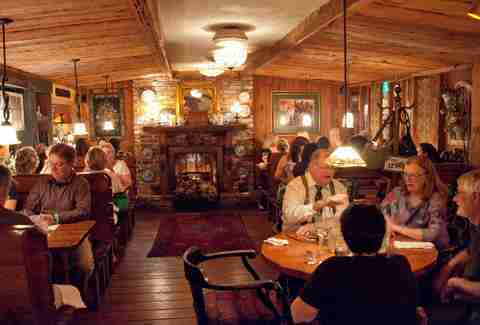 The menu’s also long on Irish favorites like bangers & mash, beer, and Guinness chocolate cheesecake. 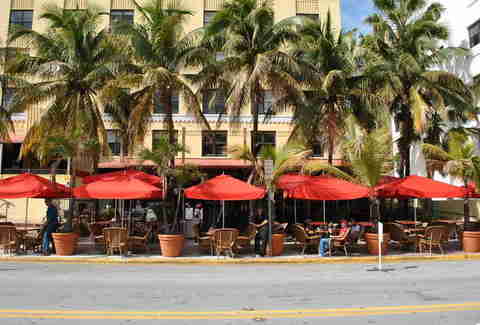 Going out on Ocean Dr is kind of like having car insurance: it's something no self-respecting Miamian will ever admit to doing. That is, unless you’re headed to Finnegan’s Way, an Irish bar across the street from the sand that’s as good for watching a game as it is for watching people in really short shorts and rollerblades. 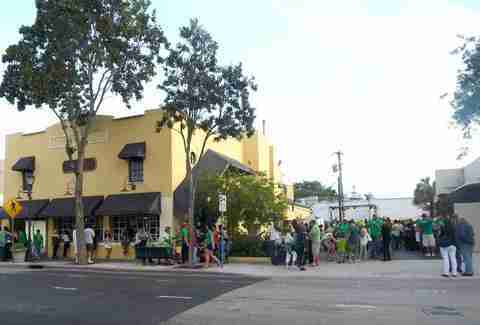 Some might argue that a “real” Irish bar shouldn’t have palm trees in front. But if you want to concern yourself with things in South Beach being “real," you probably shouldn’t be there in the first place. And when it comes to getting your Ocean Dr drink on, it’s probably the only bar that won’t make you feel like a tourist. 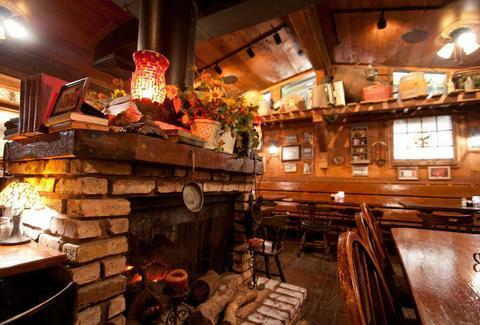 Though Broward County has about as much of a shortage of Irish bars as it does leathery old spring breakers, The Field stands out for a couple of reasons. First, it’s as much an Irish restaurant as it is a bar, and second, the food makes it the perfect spot to get a good base before a big night out. If you choose to stay at The Field, you’ll enjoy good live music, with enough outdoor space to avoid said live music if you don’t want to hear it. Throw in fun stuff like pairings of whiskey with Funky Buddha brews, and you might have the most well-rounded Irish establishment in South Florida. As Coconut Grove has faded away, South Miami has taken the mantle for Southwest Miami-Dade nightlife. Never is this more apparent than when you hit this Sunset Dr spot on Wednesday -- aka ladies' night -- when girls from Kendall and Coral Gables join the throngs of University of Miami students to make it one of the hottest midweek parties in the city. But even on nights where women DON’T drink for free, it’s still the best Irish bar down south. For special events, The Irish Times even opens up the adjacent parking lot to handle the overflow. Matt Meltzer is a staff writer with Thrillist and doesn't have the patience for Guinness. Follow him on Instagram: @meltrez1.